TOPPS MINIS!!! 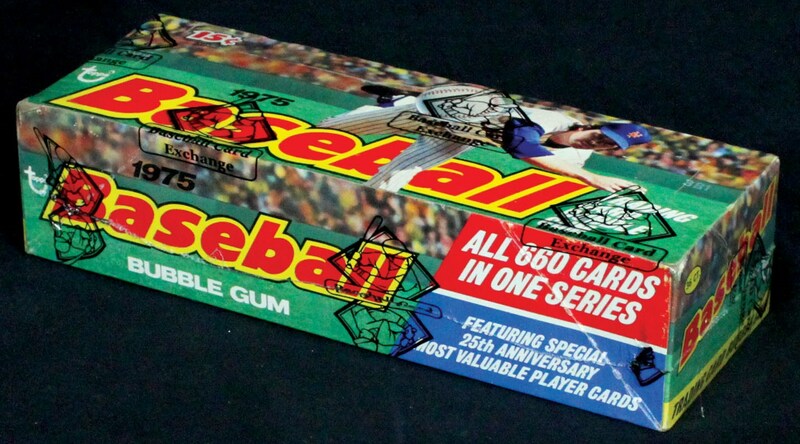 Issued in 1975 by the Topps Company, this Wax boxes contain 36 packs of Topps MINI's. Considering that this is the Rookie year of Robin Yount, George Brett, Jim Rice, Gary Carter and Fred Lynn, these boxes might contain multiples of these cards as well a Ryan, Rose, Aaron, Jackson, Carlton and many more Legends of the game. This box is in MINT condition and has an LOA from Baseball Card Exchange. Many potential 10's per box from the tough 1975 Topps Baseball series considering the colored borders. This box come from a long time collector in the hobby and again, has been authenticated by Baseball Card Exchange!! !